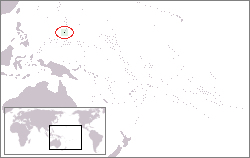 Location of Guam in the western Pacific Ocean. Aerial view of अप्रा हार्बर. ↑ CIA Factbook: Guam. Cia.gov. Retrieved on 2012-06-13. 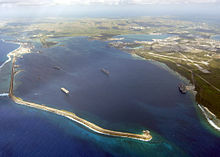 The Insular Empire: America in the Mariana Islands, PBS documentary film website. Portals to the World: Guam from the U.S. Library of Congress.